The Arizona Natural Medicine Method™ is a facial rejuvenation system founded in the belief that true beauty radiates from internal balance, and that facial fine lines, redness, loss of skin elasticity and suppleness has a direct and deeper correspondence to the body’s internal state of health. With the Arizona Natural Medicine Method™ you can enrich the skin’s tonicity and restore its fresh glow by working from within. This multi-phasic system works with your body to stimulate circulation to the tissue and create a replenished appearance. This system tightens underlying musculature to create lifting and firming of the skin and addresses fine lines by promoting collagen production and supports the mind-body system by treating the deeper imbalances of the body in a relaxing environment to enhance stress reduction, harmony and create a sense of well being. In Traditional Chinese Medicine, the face is a canvas of what is happening inside the body. Skin topography is mapped to indicate where internal channels, also known as meridians, ascend to different structures of the face, showing an imbalance of energy or Qi. For example, dark circles under the eyes can hint at a fluid metabolism weakness. Forehead lines can tell us about over thinking and worry. A furrowed brow impression, or the “angry 11s,” can indicate stress, an acne breakout can illustrate heat toxicity in a channel. Even the color of one’soveralll complexion can tell us about mood or body problems before they flare up. In Traditional Chinese Medicine, when the internal spirit is nourished, the skin flourishes. Cosmetic acupuncture has been practiced for thousands of years. Early records date back to 1270 AD. Chinese medicine had a famous saying “Where the Qi goes, blood flows”. They knew way back then that acupuncture increased the circulation of blood to the tissues and especially the face – creating a more youthful and rejuvenated looking skin and promoting longevity. In those days cosmetic acupuncture was the best beauty treatment available for the Empress and the royal family and its court. Today, this age old practice has stayed steadfast and alive due to its efficacy and had recently received recognition in the West as a viable and effective approach to facial rejuvenation and a gentle alternative to plastic surgery. HOW IS IT DIFFERENT FROM OTHER FACIAL COSMETIC TREATMENTS? Unlike painful injections in a sterile, cold setting that can cost up to $600 for just one session, the Arizona Natural Medicine Method ™ is a natural system that creates a calming experience, wherein the side effects of the treatment include joy, relaxation, and a sense of transformation. Fine, hair-like needles are placed at a variety of points in the ears, on the face and neck, around the eyes and mouth, in addition to other body points. The face then “lifts” itself through the muscle’s rejuvenation and tightening action. The body’s energy is stimulated, as well as blood and circulation, which improves facial color and enhances collagen production. Fine lines may be entirely erased, deeper lines reduced and bags around neck and eyes firmed. The skin exists of three layers: the epidermis, dermis and sub dermis. The dermis contains the highest concentration of collagen fibers and elastin which give skin its elasticity and resilience. Wrinkles are formed by damage to collagen by free radicals, ultraviolet light, heat and environmental pollutants causing damage in the fiber appearing as wrinkles. Acupuncture needles create a small non-invasive micro-trauma, initiating a natural stimulation of cellular repair, collagen and elastin production. This process continues to occur long after the needles have been removed. This builds the skin elasticity giving a more youthful and regenerated appearance. (10 visits) of treatments. These effects included the leveling of wrinkles, improved facial muscle elasticity and overall rejuvenation. Proper nutrition, exercise and herbs are all utilized to enhance health and well-being. The patient is free to utilize additional resources, including the Arizona Natural Method Toolbox and Arizona Natural Method Toolbox Plus to add additional integrative services including: non toxic skin care products and serums, as well as, detoxification and nutritional component to further expedite the beneficial effects internally and for facial rejuvenation. The Wave Magazine: Pin City, Rejuvenation without surgery in Los Gatos: Acupuncture goes facial! Cosmetic Acupuncture is a viable alternative to invasive treatments that renew the face. It is gained recent recognition and was featured on Dr. Oz highlighting it as viable treatment for reducing wrinkles and signs of aging. Your initial 90 minute visit will include a comprehensive evaluation, which focuses on developing your individualized treatment plan. Individual factors are evaluated such as stress, diet, lifestyle, genetic inheritance, proper digestion and elimination, sleep, emotional balance, and age, in developing a treatment plan. This plan will target specific problem areas and develop an overall health and lifestyle plan to enhance your desired outcome. Adjunctive therapies, such as Chinese herbal medicine, homeopathy, and nutritional therapies will be utilized to further enhance the impact of your treatment. Typically, after your initial assessment, one course of treatment consists of 12 one-hour sessions (2 per week over 6 weeks) depending on your individual needs. Following this course of treatment, ongoing monthly maintenance is recommended to enhance and maintain the positive effects. Effects may vary substantially for smokers and those with poor health habits, or less that optimal lifestyle habits. It should be noted that age is not as crucial as might be estimated; an older patient with a healthy lifestyle may in fact have a better outcome than a younger person who is prone to poor lifestyle habits. Your treatment will include the use of facial cupping, a Traditional Chinese Medicine technique used for centuries, for circulation of qi and blood in the face for achieving youthful skin, as well as, acupuncture not only for the face and wrinkles but also treating the entire body for balancing, health and well-being The Arizona Natural Medicine Method™ is unique because it incorporates a dietary component to further enhance the rejuvenation and nourishing of the skin. We utilize Chinese herbal masks specifically for harmonizing skin, hydrating and balancing skin tone, as well as homeopathic medicines, organic herbal serums and other skin enhancing tools like organic custom hydrating mists to further renew and balance the skin. Our method incorporates the use of Jade rollers which have a cooling and balancing effect on the skin. Historically, Jade rollers were the privileged accessories of the Chinese empresses in their quest for smooth, youthful faces because they enhance circulation and create a revitalized appearance. The integration of these techniques, create a comprehensive system of facial renewal that is safe, cost effective, and relaxing. The Arizona Natural Medicine Method is different because it uses a layered effect to enhance the skin. By layering the effects of cupping, homeopathic, organic serums, facial and body acupuncture will a dietary base to nourish the skin it has a superior effect on the skin that is hard to match with any other type of facial acupuncture treatment. Following the first treatment; it is typical to observe an increased glow to the complexion caused by the increased Qi and blood flow to the face. The person’s face appears more “open”, rested, calm, and vibrant. Wrinkles begin to lessen, skin begins to become more toned, and eyes seem brighter. Following the 5th to 7th treatments, significant changes in facial appearance can occur with profound lessening of wrinkles, skin tone, and improved color. The impression of relaxation and calm is more pronounced on the face as if someone has just returned from vacation. Lifting of the jowls, neck and the eyes has begun and is usually noticeable. With continuing treatment, constitutional issues such as, digestive complaints can be noticeable improved or ameliorated. Following the end of a series (typically 12 sessions after initial visit), the patient is likely to notice a vibrant, toned, lifted appearance with reduction of deep lines, and a significant diminishing of shallow wrinkles. Of course, results can vary depending on patient’s good or poor self-care habits. Facial acupuncture is a non-invasive technique that uses pre-packaged disposable sterilized needles to eliminate the spread of disease and infection. It is a modality that has a high benefit to risk ratio relative to high risk invasive therapies utilized today to enhance appearance. Procedures are performed by a licensed acupuncturist or licensed physician to maximize clean needle technique and ensure safe and professional practices. *Note — Smokers are not excluded from facial acupuncture. However, it is not highly recommended, due to the effects smoking has on the skin. Smokers will typically need 2 courses of treatment or more (24 sessions vs. 12 sessions of non-smokers) for similar renewing effects. Dr. Kiera Lane is certified in Advanced Constitutional Facial Acupuncture™ and Constitutional Facial Acupuncture Renewal™ and received her training from Mary Elizabeth Wakefield, L.Ac. of the Chi-Akra Center. Mary Elizabeth Wakefield is the leading authority on facial renewal techniques and constitutional facial rejuvenation acupuncture who demonstrated this revolutionary technique at the academy awards in 2005. Dr. Lane has combined her training in Advanced Constitutional Facial Acupuncture™, her training in integrative medicine as a Licensed Naturopathic Medical Doctor and Licensed Acupuncturist with well over two decades in the health and wellness field and her passion for healthy skin and translated that into the ARIZONA NATURAL MEDICINE METHOD™. 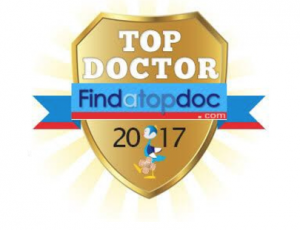 You will be treated by Dr. Lane or one of our licensed practitioners trained in the ARIZONA NATURAL MEDICINE METHOD™. Our goal at Arizona Natural Medicine ® is to provide you with quality, affordable, care in a peaceful environment to maximize the benefits of each and every treatment. Arizona Natural Medicine Method ™ is a cost effective way to renew the face relative to the high cost injections, fillers, and procedures that may be associated with other facial renewal techniques that have higher risks, increased side effects, and heftier financial out-of-pocket costs. Arizona Natural Medicine Method ™ is different for two reasons. You are treating the face AND the body simultaneously while providing a dietary component to assist in revitalizing the face, in addition to, promoting whole body well-being. Comparable treatments offered at some of the most prestigious spas and resorts across the country cost up to $400 per treatment. At Arizona Natural Medicine ®, we offer coveted techniques for facial rejuvenation at an affordable price. The costs are listed below. 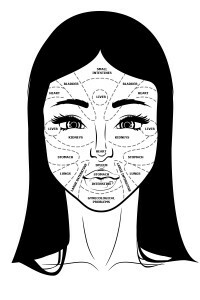 Come in and talk to our facial acupuncture specialist for a free 15min consult and get info about the process, ask questions and get a free gift for coming in to visit us! This includes a complete facial acupuncture evaluation and “mini” treatment to experience the relaxing and renewing effects of The Arizona Natural Medicine Method™. * We strongly recommend a package of 12 for optimal results!